Situated within the Bower Ashton Conservation Area in Bristol is the Lower lodge Gatehouse; a grandiose Grade II Listed former entrance to Ashton Court Estate. Sir John Hugh Smyth, one of Bristol’s wealthiest landowners, conceived the idea for the Gatehouse in 1805. It formed part of his plans to update Ashton Court Mansion as a gothic showpiece in the local community. The estate was home to the Smyth family for 500 years and was purchased by Bristol City Council in 1959. The extravagant Gatehouse, built by Henry Wood, has a castellated bathstone exterior and heraldic entrance. It was the entry to a sweeping drive up to the Mansion and a statement piece of architecture in its time. However, over the years the building was left abandoned and fell into such disrepair, that it featured on Historic Englands ‘Heritage at Risk Register’. Roofs had fallen in; floors had collapsed; windows had disappeared and large cracks had formed in the stonework because the walls had separated. There arte many examples of the country’s architectural history being left to ruin, but thankfully this building has been given a new lease of life and once again stands proud at the entrance way to the estate. 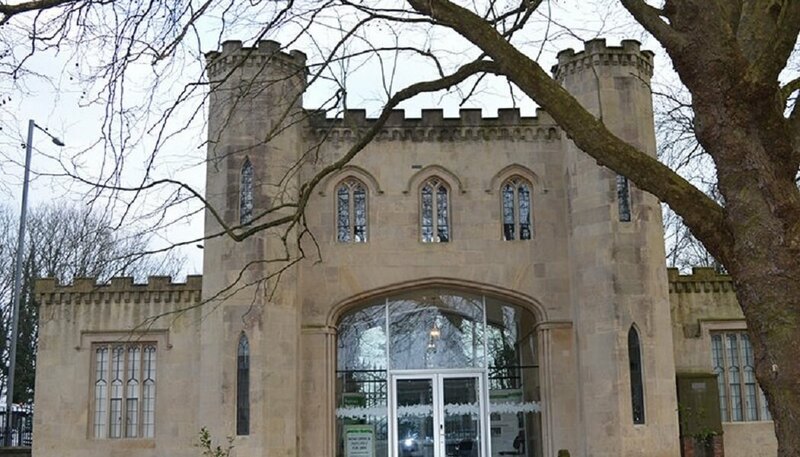 Austin-Smith:Lord led a two year project to bring this majestic Grade II Listed gatehouse back to its former glory. 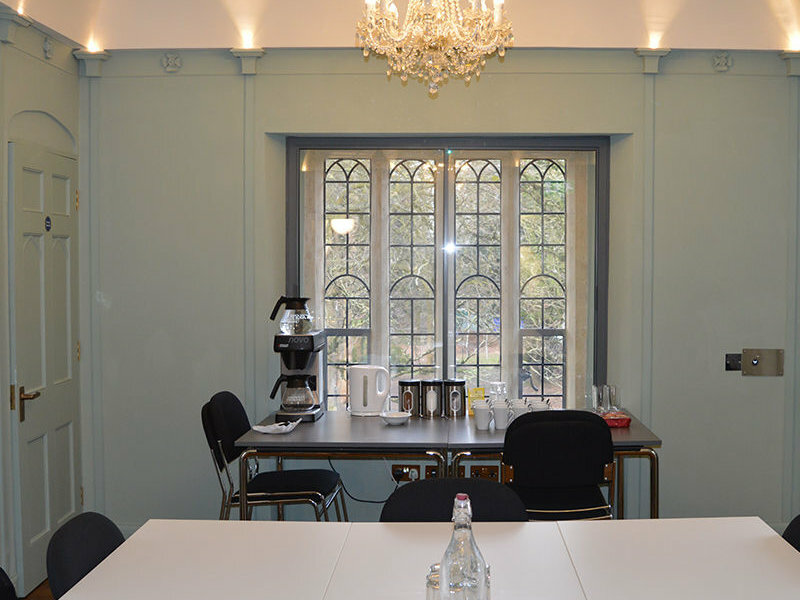 The refurbishment works are part of Bristol’s campaign to restore five estate lodges funded through grants from the Heritage Lottery Fund and money raised by Bristol Buildings Preservation Trust. 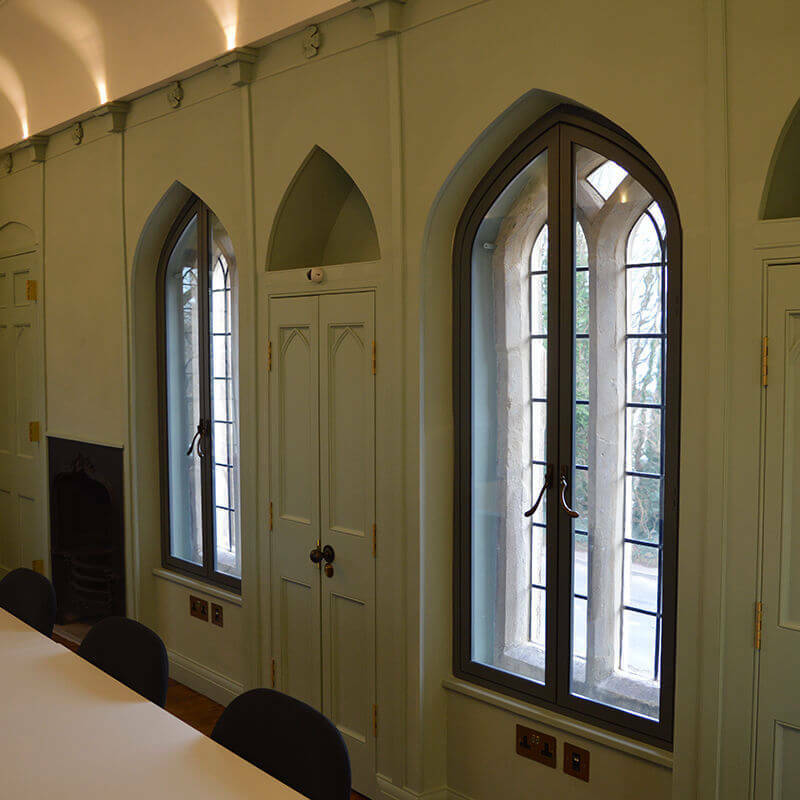 Due to the Gothic Revival building’s Grade II Listed status, original features had to remain and be restored such as the beautiful gothic arched windows, the stone flagged floors and stairs, plastered vaulted ceilings, and the gothic doors. Despite its condition, its fabric was retrievable so any refurbishments could be historically correct. Main contractor, Ken Biggs, reached out to Techniglaze, a partner of Selectaglaze for over 20 years, for support with the specification of secondary glazing. 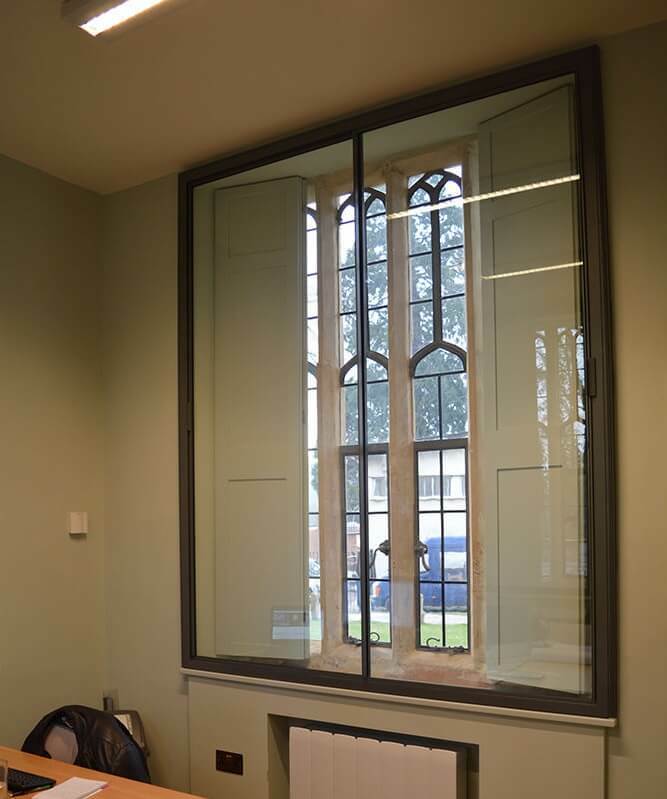 The primary windows had crooked original glass, probably no thicker than 3mm and the frames were leaky; so the building was cold and draughty. They are set in stone and have leaded lights, so the character and sightlines needed to stay in order to illustrate the craftsmanship of the time. Some of the windows were in the turret stairwell making access very difficult. 18 openings were treated, all very irregular in size and shape. Timber frames were made for all, to ensure a true opening was generated to fix the secondary glazing to; making sure it was a tight fit to remove any drafts or air gaps. 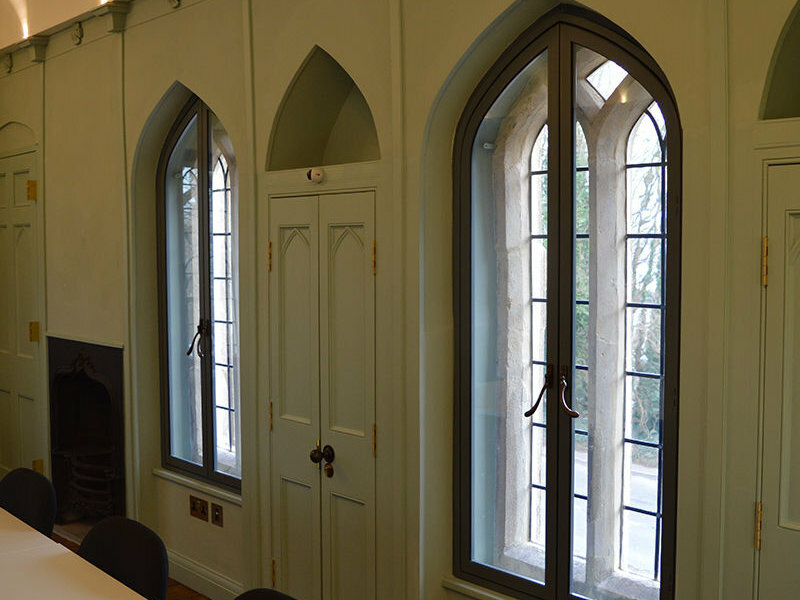 The series 45 hinged casement was specified with gothic arched heads, to allow for a clear view of the primary glazing, without adding any new sightlines. It also provides full access for cleaning and maintenance of the original windows. 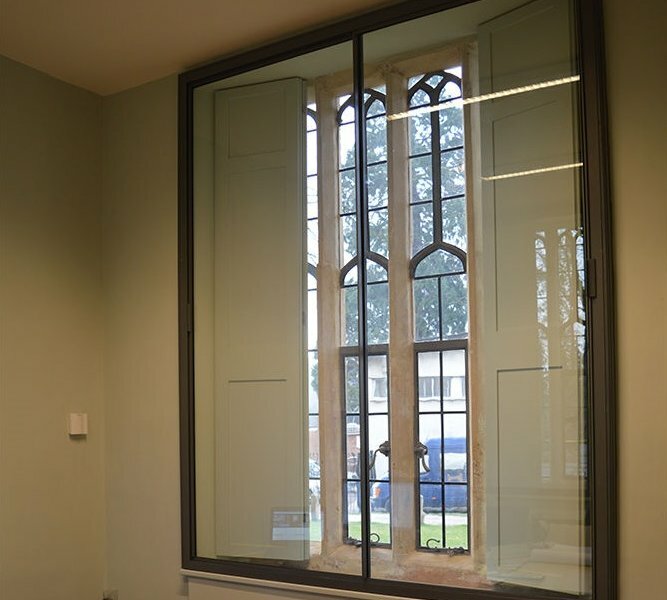 The high performance seals and use of low-E glass in the secondary glazing, has positively adjusted the overall thermal performance of the building and created a much more comfortable environment. 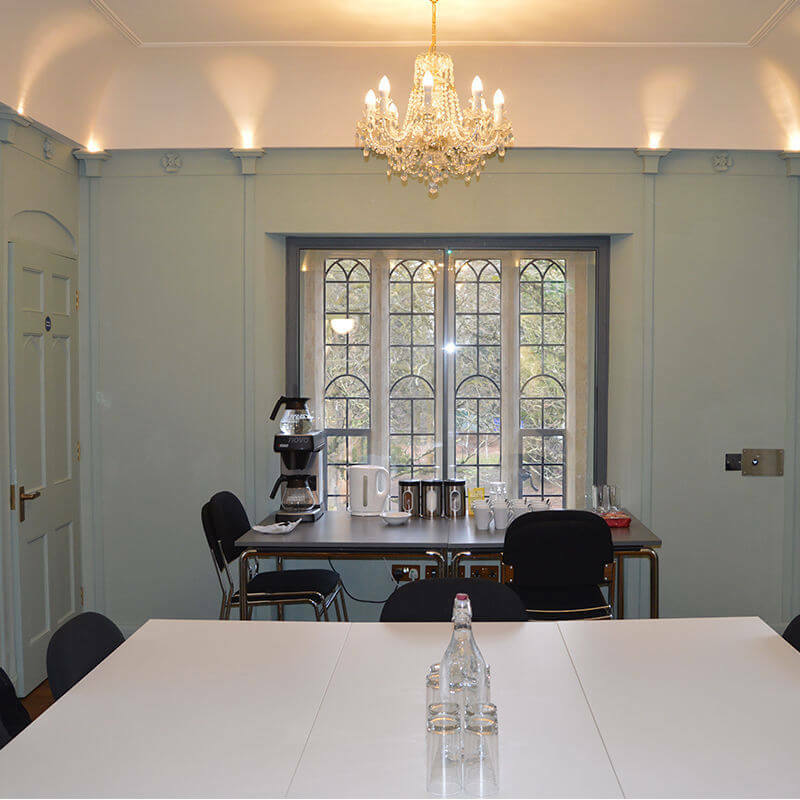 With the Lower Lodge being an integral part of Bristol’s heritage, it has been effectively brought back to life and restored to its former glory. Selectaglaze is honoured to be involved in projects which sensitively restore and retain an architectural history for future generations. Selectaglaze, established for 50 years and Royal Warrant holder since 2004, has worked with Techniglaze for over 20 years, on projects in Cornwall, Devon and the West Country. A wealth of experience working in buildings of all styles allows sympathetic designs to be created for all types of window. The company offers an extensive range of tested products covering acoustic and thermal performance as well as protection against intruder and blast mitigation. A free technical advisory service and a RIBA approved CPD is offered to architects and designers. Sign up to receive Selectaglaze’s monthly newsletter and receive updates about our latest news and events.